Romania’s regional development minister was convicted today (15 May) of masterminding a campaign to use bribes and forged ballot papers to swing an impeachment vote against the former president Traian Basescu in 2012. A court found Liviu Dragnea guilty and gave him a one year suspended jail sentence, which means he will not serve time in prison although he will be banned from holding public office. The decision can be appealed. Dragnea will likely become the second sitting member of Socialist Prime Minister Victor Ponta’s cabinet to be felled by a graft crackdown in the European Union state, after the finance minister was put under investigation in March and resigned. He has denied wrongdoing but pledged to quit if convicted. His trial has put renewed scrutiny on Romania’s performance in tackling corruption. Brussels keeps the country’s justice system under special monitoring and, while praising prosecutors for their work, it has criticised Dragnea being allowed to remain in office while under investigation. In July 2012, Ponta’s ruling Social Democrats and their allies tried to oust their arch rival, former president Traian Basescu, from office. The referendum plunged Romania into a constitutional crisis and drew fire from Brussels and Washington for undermining the rule of law. The referendum ultimately failed as the turnout did not meet the threshold of 50% of all registered voters. 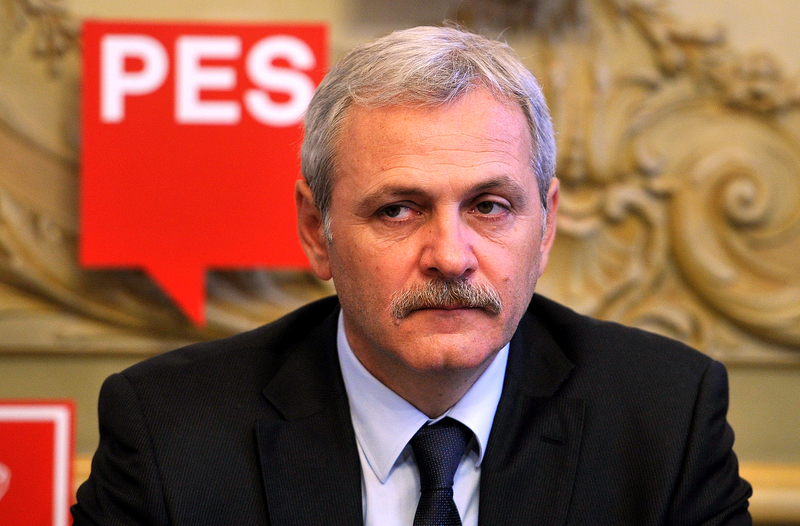 “Dragnea tasked some of his close allies […] to do everything in their power, including by breaking the law, to get people to vote and meet the turnout threshold needed to validate the referendum,” prosecutors said when they indicted him and 74 other people across four counties in October 2013. They said Dragnea, as his party’s secretary general, organised a system by which local party members sent back real-time information about the turnout and the results, which is illegal before the voting deadline expires. He also told local party members and mayors to use whatever means, including bribes, to swell the turnout, and suggested county prefects set up polling stations in tourist destinations that were not registered constituencies. When all else failed, prosecutors said, they forged voting papers. Dragnea, 52, is a powerful figure in Romanian politics. He is the ruling party’s executive president and until recently also held an additional post of deputy prime minister. As regional development minister, he controls a vast budget aimed at investment projects in local communities, giving him power in negotiations with mayors. EURACTIV asked Romanian Commissioner Corina Cretu, responsible for EU’s regional policy, if the scandal has any implications that may concern her. Cretu is from the same political force as Dragnea and her present capacity has put her in a direct relatioship with the convicted minister. As no one took the telephone calls in the Commissioner’s office, the question was sent by email.